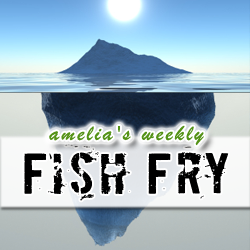 In this week’s Fish Fry, I check out Texas Instruments’ itty bitty new digital sensor and investigate how this new technology may help usher in a new era of micro sensors and micro mechanics. Also this week, I look into the most recent battle between Carl Icahn and the Board of Directors at Mentor Graphics, while I try to sort through the latest litigation rumblings over at Rambus. I have a brand new nerdy giveaway this week…but you’ll just have to tune in to find out how you can win!